The worlds smallest true gaming PC, extreme compact, same desktop performance. Meet MSI Trident 3. MSI has experience with compact gaming desktops and incredibly power, but we are taking it to the next level with Trident 3. The performance levels will fit all gamers demand. 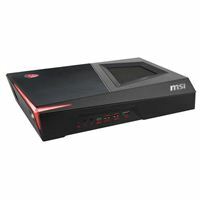 Redefining the size of gaming desktop PCs with MSI Trident 3. 23.86" x 8.90" x 12.44"